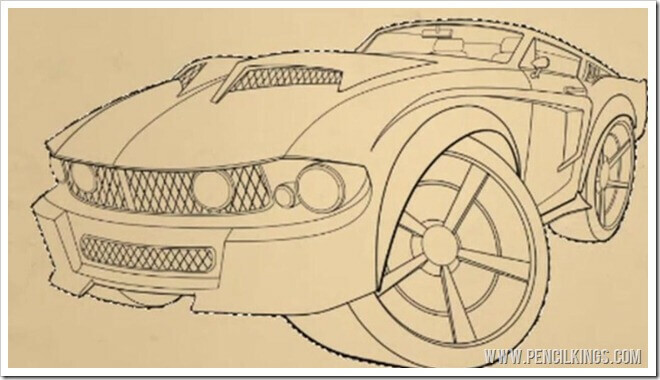 In the previous part of our video course, you learned ho to draw a cartoon car and tidy up your line art. And, now you’re done with the lineart, it’s time to gear up for adding some color! 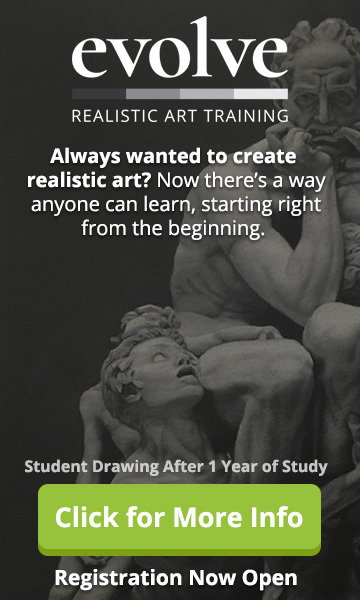 Before you start, make sure you’re completely happy with your finished drawing and take a look at your reference photos if you need to. 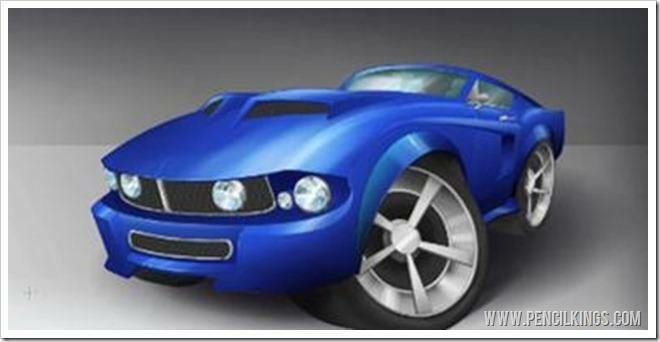 Here, you can see how our artist April Eriksson decides to change the hood of the Mustang slightly and alters the angle of the most prominent part. She’s also made the front and rear wheels larger and changed the angle of the rear wheel so it points inwards. This helps push the features of the car and make it more cartoon-like and fun. As an artist learning how to draw a cartoon car, you should never be afraid to take one last look at your painting and make changes if necessary. See whether there are any ideas that can be pushed in order to sell your idea better. So, get ready to pick up those tablets and buckle up as we prepare to learn all about local color values! Now the lineart is finished, you can start adding some areas of local color. 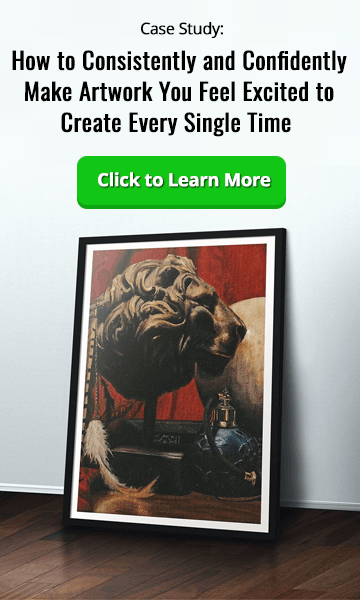 This is a common technique used by artists, since it enables you to block in large areas of tone quickly as a basis for your finished painting. However, what you may find surprising is that you’re not actually going to be adding any color at this stage! 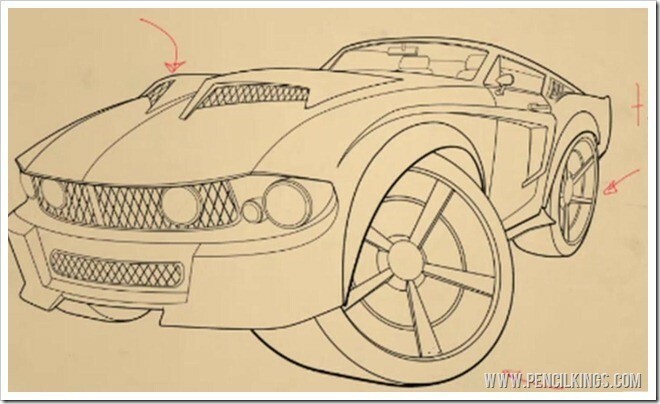 Instead, at this stage of learning how to draw a cartoon car, you’ll be painting in grayscale and defining areas of contrast to add color value to your painting. This may seem a little confusing at first, but working in grayscale allows you to see tonal variations and values more easily. And, once this local color layer is finished, you’ll be going back in and applying some color washes. To fill your drawing with local color, first go to your lineart layer and hit Ctrl + A select it. Then, right-click on your selection and select Inverse – this will now select only your lineart and not the whole of this layer. After this, create a new layer and fill this selection with a medium gray. Move your lineart layer above this new one so you can still see the drawing. Having created a new color fill layer and filled this with gray, you now need to lock this layer so that any brush strokes you apply will only show up within the selection. To do this, go to the padlock icon in the top left-hand corner of your Layers Palette and click it to lock this layer. Doing this while learning how to draw a cartoon car will make working on your painting so much easier and will save you a lot of time. 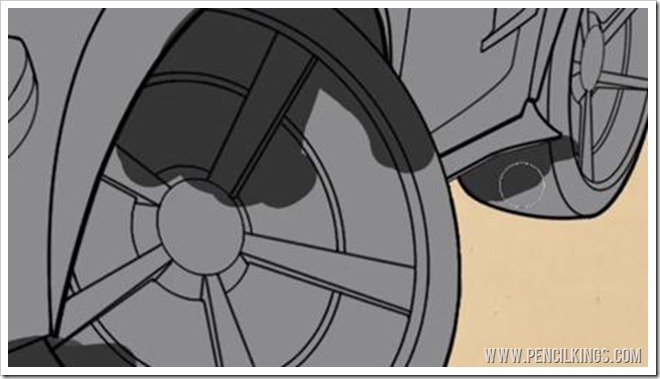 You’re now ready to start applying some darker shades of gray to areas such as the wheels, the interior and the grill. When doing this, remember not to go too dark too quickly – save your darkest shades for the final stages of your painting. Turn on Shape Dynamics to give you greater control when painting more detailed areas – you don’t have to be super careful when doing this, but keeping things fairly neat at this stage will save you a whole lot of cleaning up later. Another way to fill in areas quickly is to go to your lineart layer and use the Magic Wand Tool to select an area and then hold down Shift to select multiple areas. Go to Select > Modify > Expand and then expand your selection by 2 pixels to fill the whole area in neatly. This is one of those occasions when it’s really important to remember which layer you’re working on and you need to make sure you go back to your color layer before applying the fill. After applying your fill, you might find you need to go back in with the Brush Tool to clean up areas. Another super-fast way to make selections is to use your Lasso Tool and simply draw around the areas you want to fill. Hold down Shift to add to your selection or Alt to subtract from it. 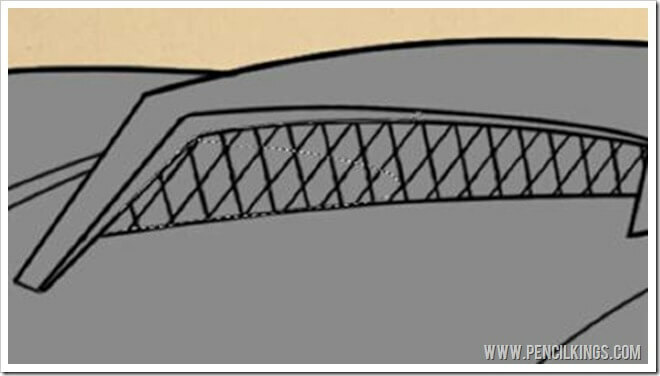 This method comes in really handy when working on areas such as the grill and headlights. You’ll also be using the Lasso Tool later on in conjunction with the Brush Tool to add super-subtle gradients when rendering. In the next lesson, you’ll be learning how to add lighter areas of tonal value to your digital Mustang painting in preparation for rendering. 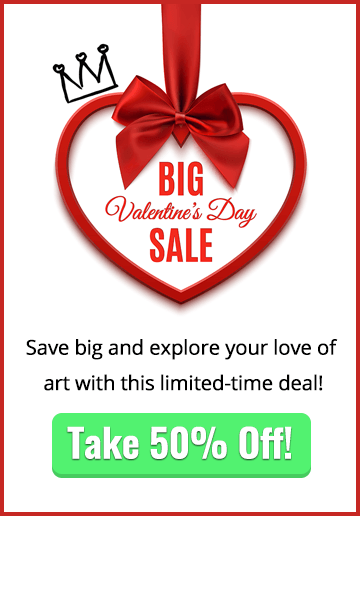 We hope you’re picking up a lot of useful tips and techniques on learning how to draw a cartoon car which will help you in every other area of your artistic career. Don’t forget to leave us a comment in the box below to let us know how you’re getting on!